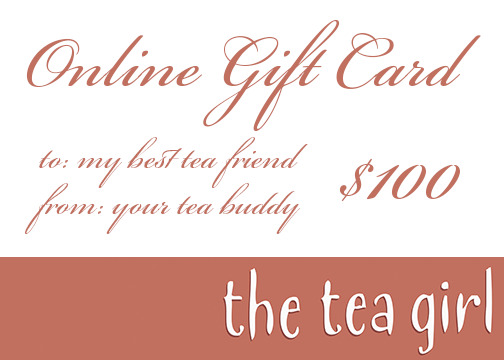 These are the perfect gift for your friend or loved one that you don’t know what to get, but loves our teas! Purchase these gift certificates online, and we can email the recipiant with a electronic gift card directly! Gift Cards have no expiry and may be used towards any purchase online. No cash value and no returns. Each selected certificate will be printed as the selected value, and must be used in one purchase. If you would like smaller denominations in multiple certificates, please purchase individual smaller coupons. Only one certificate is redeemable at once.